‘‘She is out of control, except for her control of Nancy!’’ Trump added. White House press secretary Sarah Sanders defended Trump earlier Sunday, saying the president has a duty to highlight Omar’s history of making comments that others deem anti-Semitic or otherwise offensive and that he wished no ‘‘ill will’’ upon the first-term lawmaker. Critics accuse Omar of being flippant in describing the perpetrators of the attacks that killed nearly 3,000 people. She later sought to defend herself by tweeting a quote from President George W. Bush, in which the Republican president referred to the attackers as ‘‘people’’ just days after 9/11. 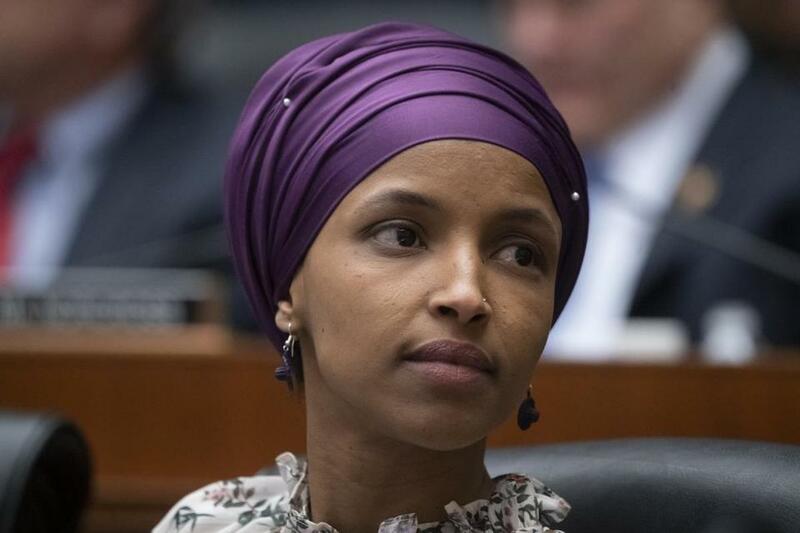 Omar repeatedly has pushed fellow Democrats into uncomfortable territory with comments about Israel and the strength of the Jewish state’s influence in Washington. She apologized for suggesting that lawmakers support Israel for pay and said she isn’t criticizing Jews. But she refused to take back a tweet in which she suggested American supporters of Israel ‘‘pledge allegiance’’ to a foreign country. ‘‘I have had some problems with some of her other remarks, but not — but not with that one,’’ he said. Sanders commented on ‘‘Fox News Sunday’’ and ABC’s ‘‘This Week.’’ Nadler appeared on CNN’s ‘‘State of the Union.